When a new book comes out on the subject of treating autism, I am always interested in seeing the newest recommendations as research, therapies and protocols are always changing. Like many parents, I belong to online Facebook groups on a wide array of subjects that relate to my children’s care, as they also have several co-morbid conditions that fall under the umbrella of “autism.” The problem I have found is that I read so many posts, articles and news stories that I have a hard time remembering where I saw something, which makes it hard to follow up on a promising treatment or piece of information that I would like to study further. We all lead busy lives, and, with the onslaught of social media and endless newsfeeds, it is hard to keep up with it all. It would be nice to be able to come back to something when we have a moment to coordinate cutting-edge therapies and protocols, to see what we might want to add to our regimens or discuss with our MAPS pediatricians. 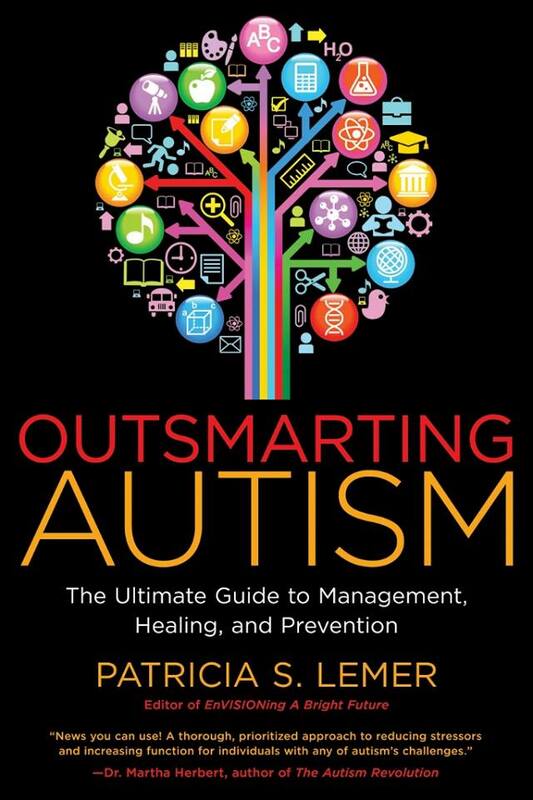 Outsmarting Autism, by Patricia S. Lemer, is a thoroughly researched, well-organized wealth of information for families, regardless of where they are on the continuum of healing our children while planning for their futures. Chapter 2 sets the tone using Total Load Theory to examine why so many children have autism today. It details the kinds of environmental stressors that contribute to the myriad of health issues many children experience. This book is not a set of protocols with detailed instructions in how to treat your child. It is a comprehensive overview of the latest therapies and innovative treatment modalities to help you decide how they relate to the individual needs of your child. Have you been to a conference such as Autism One in Chicago? This book would be a wonderful companion to the many tracks and lectures offered over the course of the week to reinforce what you learn and figure out how to follow up. 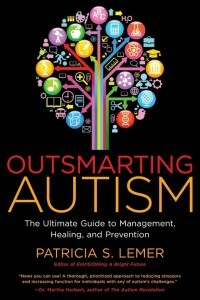 Outsmarting Autism is an organized action plan to further your own research on the many treatments out there. The chapters give an overview of a treatment or therapy, some website references for further reading further on the subject, and a brief summary of take-home points. Are you the parent that craves more detail? At the end of each chapter is a list of all of the sources the author cites; so if you would like to read further, or provide information to others, you can follow up directly. The book is divided into five steps, with a set of chapters that cover each topic in greater detail. Step 1: Take Away the Bad Stuff, and Add Back the Good Stuff consists of five chapters detailing the reduction of load factors through lifestyle changes, diet, immune and endocrine system adjustments, and detoxification. If you are a member of multiple online parent groups on separate biomedical issues, you will find a lot of useful information in one organized place, which can be a huge time saver. Also, the citation list at the end of each chapter will come in handy when you want to find specific research on a particular topic. Step 2: Correct Foundational Issues consists of two chapters, the first on structural and brain integration, and the second on reflexes, which includes therapies to improve sensory processing. I found this chapter fascinating as my twins have had overwhelming sensory issues since their very premature birth, but I had only recently begun reading about how unintegrated primal reflexes still play a role in this. This section is a must read. Step 3: Address Sensory Problems consists of two chapters focusing on sensory processing and motor issues and contains an in-depth overview of vision and how, as the dominant sense, it affects language development and social skills, as well as your child’s classroom and educational experience. I found this unique, as the importance of vision in development is often overlooked. Step 4: Focus on Communicating, Interacting, and Learning consists of three intense chapters discussing several therapies. Relationship social skills and child-parent interaction programs are outlined in chapter 12. Behavioral therapies, neurofeedback, and assistive technology are covered in chapter 13, and academic skills and programs regarding learning to read, write, spell and calculate are reviewed in chapter 14. Step 5: Plan For the Future is a chapter that all parents need to read, even if it seems as though adulthood is far away. I have four children at various levels, the youngest being eight years old, and I really found it useful to know that, while the services for adults on the spectrum are sparse, programs are being developed as we speak for the oncoming wave of children that will age out of the school system and continue to need support. Before reading this chapter I had pushed the thought out of my mind that my 10-year-old daughter will likely benefit from the college programs and internships designed for children on the spectrum should she require them.The future is something that should be on every parent’s radar, as these much-needed communities and programs that are in the planning stages at the moment will take the hard work and financial support of many to become a reality by the time our eight-year-olds will be old enough to use them. 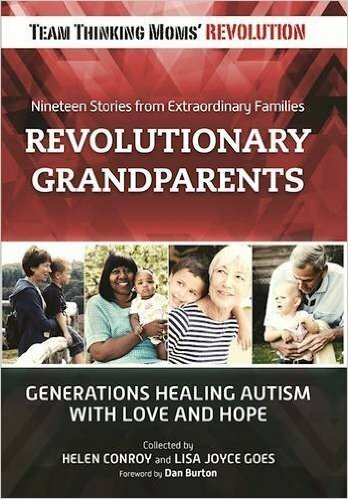 Chapter 16, Preventing Autism, is the resource so many parents wish they had years ago. For parents of children with autism who are not finished adding to their families, it contains valuable steps to take before conception, throughout pregnancy, and during the newborn phase to give babies their best start. This chapter is especially useful, as it is not uncommon for families, my own included, to have multiple children affected by autism. Years ago, even after one child was diagnosed, I really had no clue that it could happen to more than one child in a family. As I read this book, I was struck by how encompassing it is with regard to all of the possibilities for treatment I have encountered in parent groups, conferences and articles across the internet. Even though we have been treating our kids biomedically for over five years, I learned about new things that I am excited about looking at more closely. This review will give you a general idea, but really you should get a copy regardless of where your family is on this journey. If you know someone whose child was recently diagnosed or are interested in learning more about different therapies, this is the book to give as a gift (even if you’re the someone). 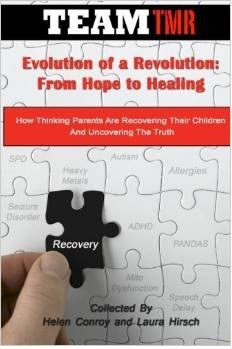 I am confident that it will give you guidance, as well as a better understanding of how to harness all of the information available, channeling it towards giving your family the best foundation possible to begin healing and to make it across the finish line towards health and, ultimately, recovery. 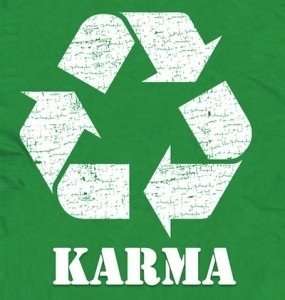 About the author – Karma is a mom to four kids that spend way too much time navigating their dirty mini-van through the urban sprawl that is metro Atlanta. She proudly supports Generation Rescue in the role of parent mentor for their Family Grant program. When asked, “How do you do it?” the answer is simple: coffee, Belgian ale, and an odd sense of humor. She is a co-author of Evolution Of A Revolution: From Hope To Healing and is a member of TEAM TMR, a not-for-profit organization created by the founders of The Thinking Moms’ Revolution. 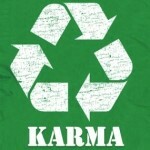 For more by Karma, CLICK HERE. 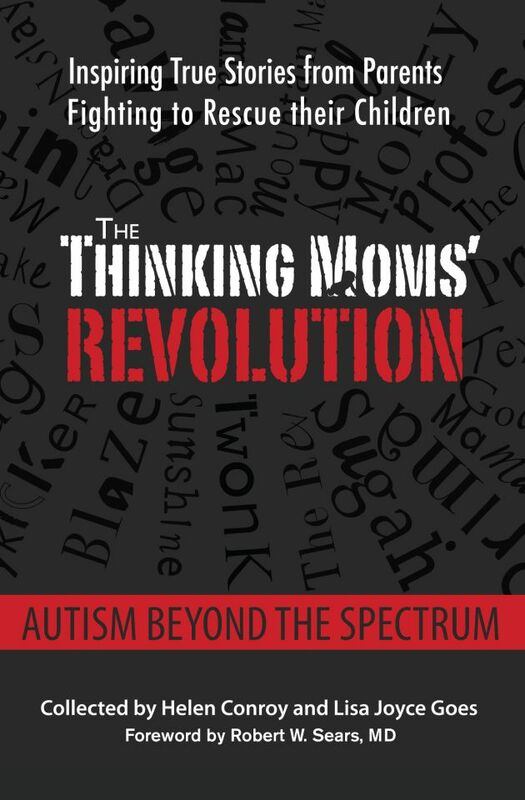 This entry was posted in Blogs by Thinking Moms' Revolution, Karma TMR, TEAM TMR and tagged autism, autism recovery, book review, Outsmarting Autism, Patricia Lemer, The Thinking Moms Revolution, TMR. Bookmark the permalink. We also have our sons Cord banked & are awaiting to see the results of the trail. I had 1 autistic patient who was 17 years old at the time I saw her and we got her human umbilical stem cells and now she has graduated college and is engaged. She is continuing in school wants to get a doctorate in naturopathic medicine. If you have had success with this, you should publish the details of the specific procedure and the case so that others may learn about it. I am skeptical that it would work well with most with autism. My understanding from existing research is that most with autism have excessive neuronal growth and over-connected neurons already. Injecting stem cells into such a brain would seem to me like it could make the over-connectedness worse. There could be other effects though and the proof would be in whether or not it works – not whether or not theory says it should work. Sir, do you mean you performed stem cell treatment, is it via blood or by which mean.